Today I realized that I have officially been a part of the blogosphere for one whole month. So I thought I would reflect on why I started doing this and what I have learned in the process. A month ago I decided to start this blog because I realized I didn’t really have anything that I was doing that was just for me. This is something that happens to most moms whether you stay at home or are working. You get so wrapped up in taking care of your family, home, work, etc. and just kind of lose yourself in it (not saying it’s bad). This year I turn the big 3-0 and for some reason or another that motivated me to want to make a change. I also noticed that I haven’t been very social and rarely ever have time to see friends. Which caused me to wonder if I could fix both of these things by starting my own blog (just for fun). Upon giving it some thought I decided to take on the adventure and planned to mostly share recipes and ideas for crafts so that people could see how really simple it can be with a little patience. It’s now a month later and here are the 5 biggest things I have learned……..
1.Self Hosting & WordPress– After doing some research I decided that I wanted to self-host and have my very own domain name. Of course I read extensively about what self-host sites people were recommending and the pros and cons. Eventually I decided to go with InMotion Hosting, a site that offers many helpful features and was within my budget ($100 for a year). Once I chose the hosting site it was then on to looking into website design where I stumbled upon WordPress. I have been very happy with both of these choices! WordPress makes it pretty easy to figure things out as a newbie and includes tons of free website themes and plugins. I think the hardest part of the whole process is determining your domain name and what kind of theme you want to use. I feel like I am constantly looking at and changing my theme (just changed it last night) to find exactly what I am looking for. 2.Plugins/Widgets– When it comes to these I am still a huge newbie as I had never really heard of these things until a month ago. At first I tried to figure it all out on my own without the help of the internet but eventually caved when I saw how much better other people’s blogs and sidebars looked. My awesome #TribalChat sister, @YouBabyMeMummy posted a lovely article on her blog about the 20 WordPress Plugins You Need. I’ve learned that you need things like SEO plugins so that your posts are more searchable, share buttons so others can share your posts on social media easier, and a place where people can subscribe to your new posts. 3.Social Media– For most of my adult life I really only used Facebook and Pinterest in terms of social media but quickly learned that if you want to get more readers putting yourself out there is a must. After a couple of days of starting I created my own profile on Twitter, Pinterest, Instagram, Facebook, and Google+. In the last month I have recognized that Pinterest and Twitter seem to be what help drive traffic to my blog the most. My favorite has been Twitter, which is where I have met a wonderful group of bloggers who are very supportive and helpful. It all started with @Mummyinatutu who was looking for a community to join when she first started blogging. 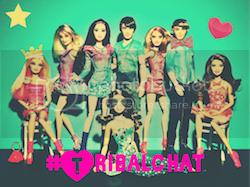 We call ourselves #TribalChat and meet every Tuesday for an hour to get to know each other better. We also chat throughout the week and read and comment on each other’s posts pretty regularly. Most of what I’ve learned is from these ladies! 4.Linky Parties– I’ll admit the first time I heard the term #linky or #linkyparty I wasn’t really sure what to think and was probably a little concerned. However, if I hadn’t started joining these I would not have anywhere near as many people reading or commenting on my site. I also wouldn’t have learned as much about starting a blog in the first place. So what is a linky party you ask? 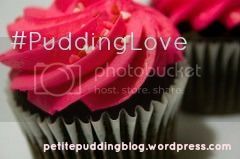 It is basically just a place (someone’s blog) where you can post (link up) one of your blog posts for other people to see and to look at and read other’s posts as well. There is also a very good tutorial on how these #linkys work written by Cuddle Fairy. I have been joining 3-5 of these a week based on how much time I have. You can find links to several of my favorites so far on my sidebar. Each linky party is unique and has its own badge and set of rules. 5.Social Media Graphics– Like I mentioned earlier, I really started this whole process knowing very little about websites and graphics. One of the things that has really helped me out are two websites that make it easy to create graphics and find free images to use if you aren’t a professional photographer (certainly not me) and don’t have lots of photo editing skills (again not me). The first site I encountered from a similar blog post to this mentioned Canva, which has all the tools to help you not only find nice images but also play around with them to create a good social media graphic. It shows you step by step how to go about it. My feature image for this post was made through Canva. They also can help you set up an image that is perfect for whatever social media site you are specifically wanting to post it on (Pinterest, Twitter, Instagram). The second site I found out about is Unsplash. This is a site (and there are several others) that, if you sign up, you can receive a certain amount of free images by photographers who gave up their copyright. This is so that you can use the image for your personal use without causing any legal issues. There is my list of 5 things I’ve learned about starting a blog. I hope that this is something another newbie will find helpful as I did just a month ago. Let me know if you have any other suggestions about what I talked about. I plan on writing a follow up post next month on my favorite Linky Parties. Disclaimer: I chose to share the links in this post on my own and am not gaining anything from doing so. Just sharing what has worked for me!